Developing Strong Concepts Of Letters | Mrs. P's Specialties! 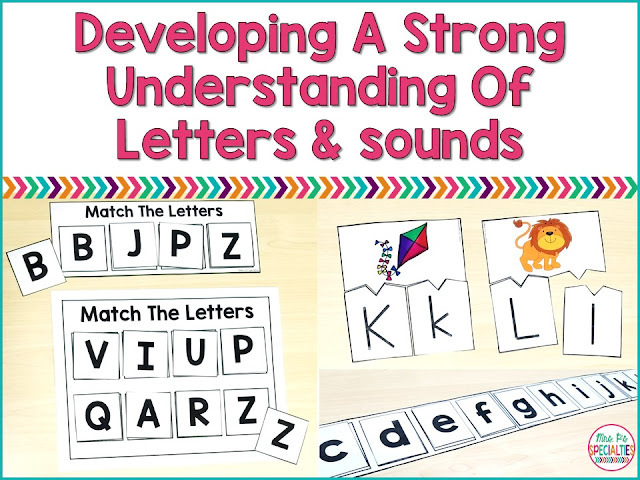 Students need a strong understanding of letters, their forms and the associated sounds. A strong understanding of letters and sounds will help your students develop higher level reading skills. Many students with disabilities require direct teaching and high repetitions in order to learn and master their skills. 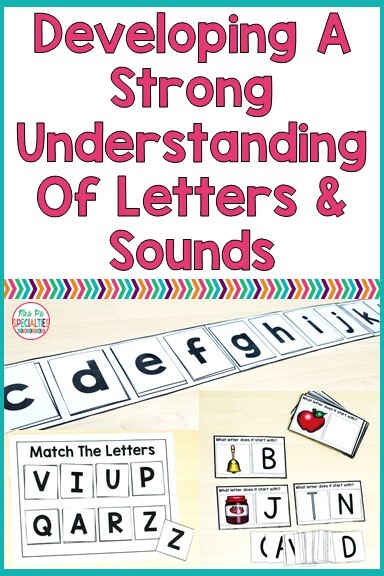 Letters and sounds are no different! Here are some ideas to give students help students learn quicker and more completely. 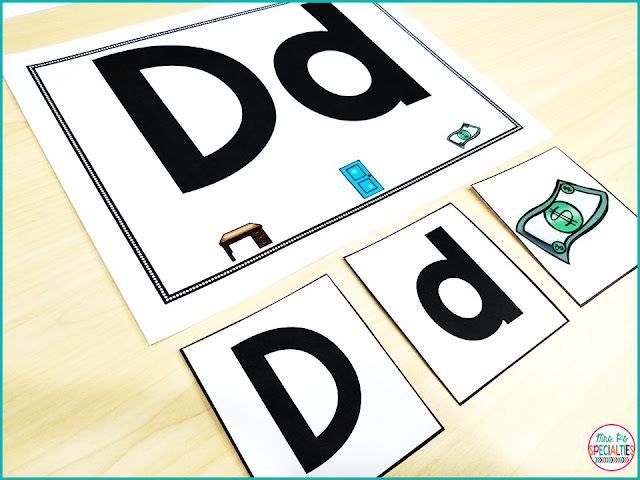 Before beginning direct instruction, I assess my students to see which letters and sounds they already know. 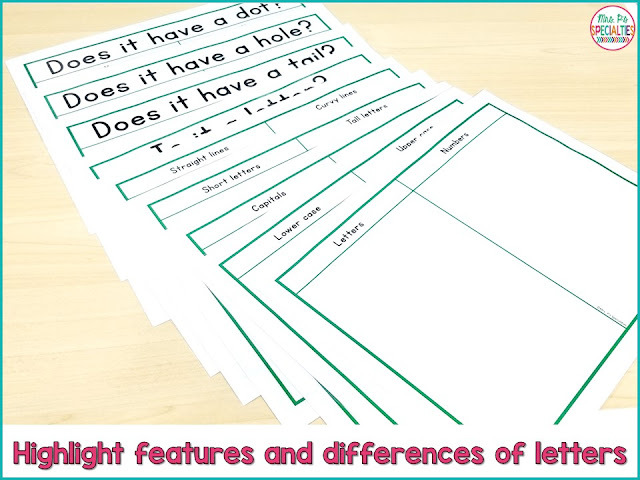 The assessment materials I use come in a variety of layouts, so I can easily customize it to fit my students. Once I know which letters my students still need instruction on, I choose a small set (usually 3 to 4 letters) to focus on. We begin by introducing the letters and using guided practice to notice the features of the letters, the sounds it makes, etc. We use letter posters to introduce the letter. 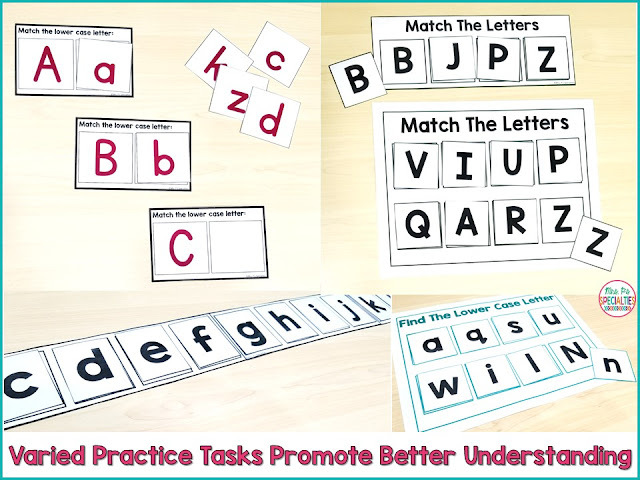 We trace the letter, practice writing it in the air and practice matching the letter in different sizes. We also add a sensory and movement component to the introduction to help students remain engaged and learning. 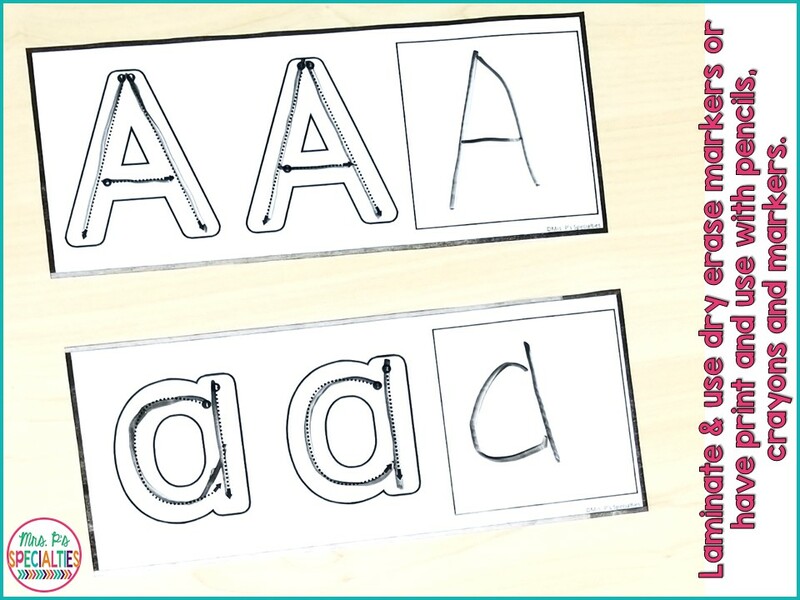 One of our favorite ways to add movement into the lesson is to hide the letter cards (Upper & lower case) all over the room. Students take turns having to find a given letter. Not only does this build in movement, but it makes students discriminate between other letters or forms that doesn't match the letter they are matching. Our students require lots and lots and lots of practice in order to truly master skills. 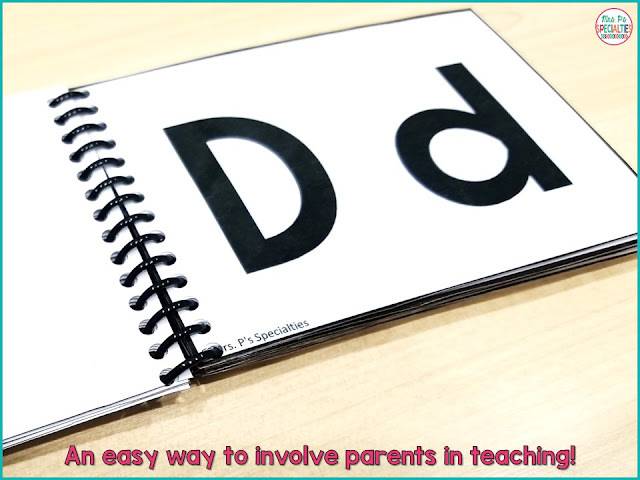 It is also important that students don't become rigid in their thinking of letters. If students only know it is the letter B when their teacher holds up a certain flash card at the reading centers, they don't actually KNOW the letter. All they have done is memorized this one flash card that their teacher uses. This is especially common with students with autism. We need to be practicing and assessing across all of the different settings that students will be in. They need to read at their desks, centers, library, home, cafeteria, etc. If your students don't naturally generalize their skills, then they will need to practice in all of the settings they need to use the skills in. 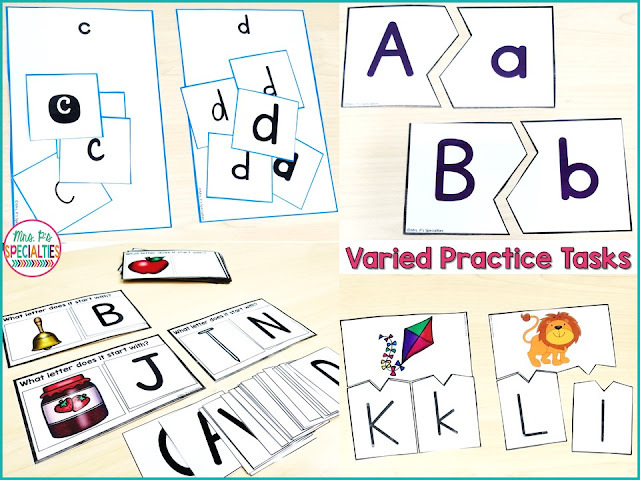 Research supports using an alphabet tracing book daily with students who are still working on learning their letters. We make 2 copies of this book for each student who is working on letters. We send one book home for parents to do with their child. The other copy stays in school for students to practice every day they are in school . 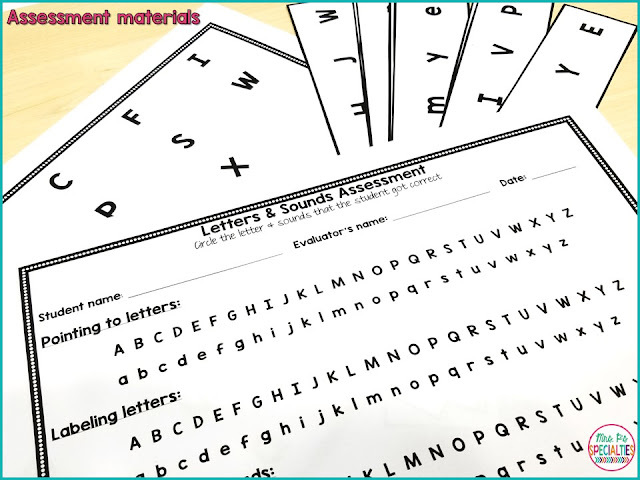 Students have to trace the letters while labeling the letter.